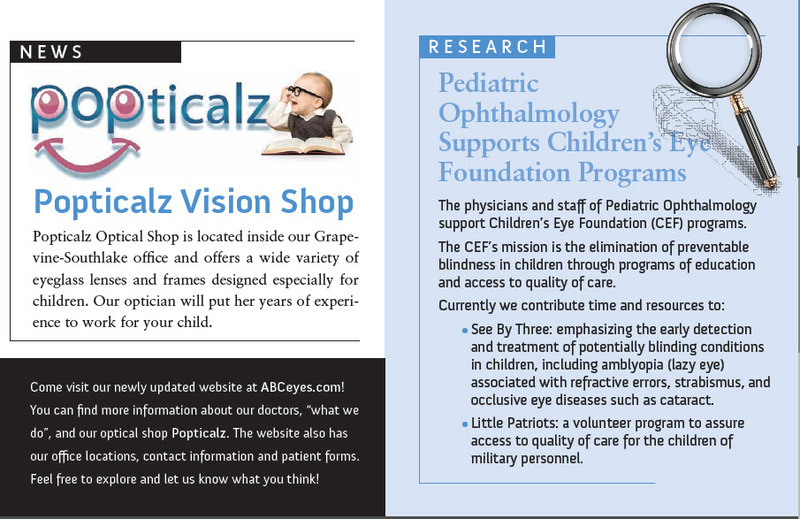 Computer Vision Syndrome (CVS) or eyestrain in children is increasingly being seen in pediatric ophthalmology. CVS is due to prolonged periods of focusing the eyes on electronic displays, computers, smart phones and mobile tablets. Vision and eye problems are quickly becoming a common issue for people who work all day at a computer. 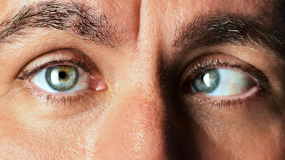 Rather than one specific eye problem, computer vision syndrome (CVS) encompasses a host of eye discomforts associated with using a computer or other electronic screen for extended periods of time. With the popularity of video games, handheld devices and tablets, children are at high risk of being affected by CVS. 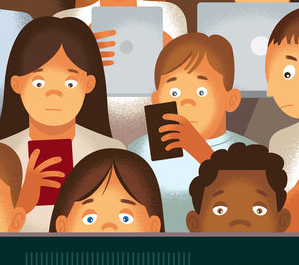 In a recent New York Times article about children and screen addiction (Screen Addiction Is Taking a Toll on Children), the American Association of Pediatrics cited a Kaiser Family Foundation Study as saying, "The average 8-10 year old spends nearly 8 hours a day with a variety of different media, and older children and teenagers spend more than 11 hours per day." The writer concludes with, "Children can develop pain in their fingers and wrists, narrowed blood vessels in their eyes (the long-term consequences of which are unknown) and neck and back pain from being slumped over their phones, tablets and computers." Research shows that 50-90% of those who work or look at a computer screen for long hours report some type of eye problems. The two most common causes of CVS are the improper use of eyeglasses and working in an environment not ideally suited for the computer. CVS is a condition similar to a repetitive stress injury by which a continuous repetitive motion causes pain to the area being overused. When you continuously focus on a computer screen (with screen contrast, flicker and glare) or move your eyes back and forth from papers to the screen, your eyes muscles are being overworked. Reducing the glare: Change the lighting in the room, close window shades, or if possible, move the computer or electronic screen. A good way to test lighting is by cupping your hands over your eyes like a visor while looking at your screen. If you notice an improvement, the lighting should be changed. Adjusting your screen settings (brightness, contrast, and font) can also reduce eye tension. Rearranging your work area: Research shows that the optimal position for a screen is 20-26 inches in front (not to the side) of the face. The center of the screen should be slightly lower (4-8 inches) than the eyes. Both measures should be more comfortable and less straining to the eyes and neck. Adjust your chair so that your feet are flat on the floor and your knees are at a 90-degree angle for improved overall posture. Using a document holder: Place any reference materials on a stand close to the screen. This will minimize the eye strain caused by looking back and forth from the desk to the screen, and constantly having to refocus. 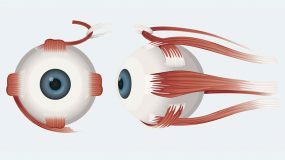 Taking vision breaks: Your eye muscles need rest just like the any other muscle in your body. Look away from your computer or electronic screen for about 20 seconds every 15-20 minutes. Try blinking more frequently or using eye drops to keep your eyes from drying out. 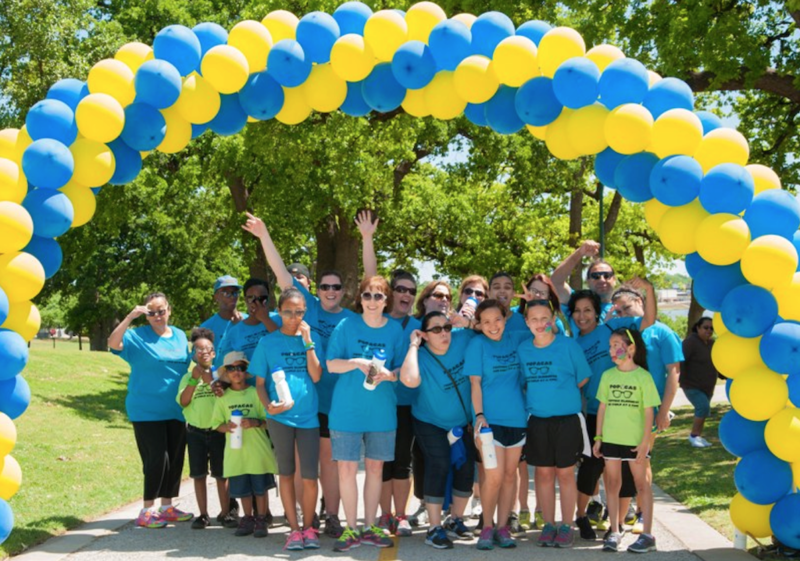 If possible, stand up and stretch or take a short walk during these breaks. Reducing factors that can cause dry eyes: Keep air vents pointed away from eyes and the area as dust-free as possible. Use a humidifier to moisten the air in the room. Anyone who is affected by CVS should consult an ophthalmologist to see if glasses could be beneficial. Among people who report symptoms of CVS, the majority (71%) wear eyeglasses or contact lenses. Be sure to inform your eye doctor of your computer usage, or if you are experiencing symptoms of CVS. 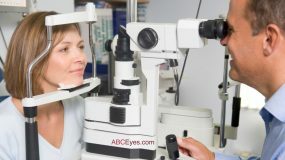 While some people may be helped with special computer glasses, others may need an adjustment in their prescription or in the fit of their current glasses. When eyeglasses sit improperly on the face, the optical center (OC) is below the center of the eyes, decreasing lens power and causing more eye strain. Those who wear specialized lenses (bifocals, trifocals, or progressive) need to be especially aware of proper fit because these types of lenses can make seeing things at arms length or straight ahead more difficult. 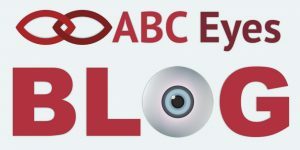 Because staring at a computer or electronic screen exposes more of the eye to air and decreases blinking, users should be sure to blink more frequently when using a computer or electronic device in order to prevent dry eyes. Eye drops to ease dryness are available through our ophthalmologists.